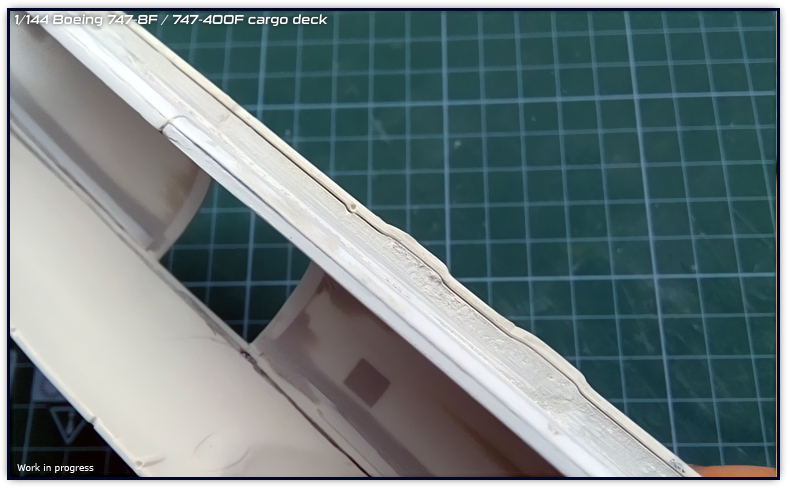 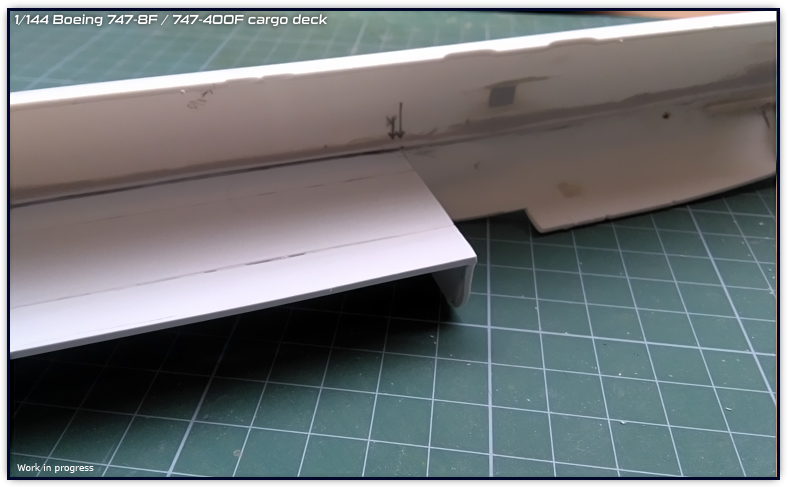 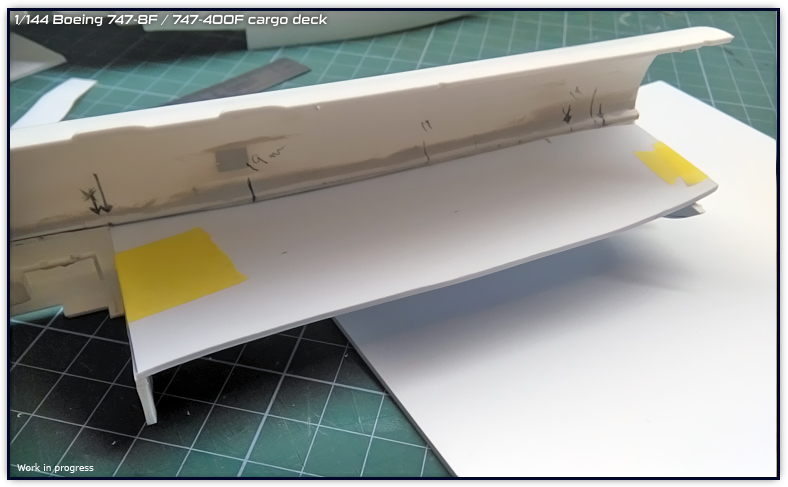 The rear section of the cargo deck is finally done, adjusted into place and also a new middle rib was made (since I wasn’t happy with the result of the previous one), this rib holds into place the edges of the middle and rear deck. Everything is done so that everything can be mounted and fitted together. 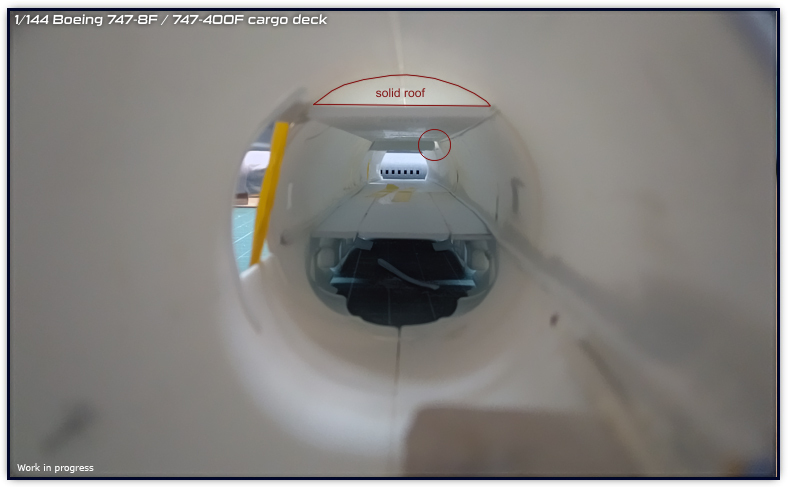 The rear deck has two beams where the final rib gets into place, this way the deck, once fitted together, won’t have other position than that. I am planning some changes in the schedule, so I will dedicate more time with these projects. 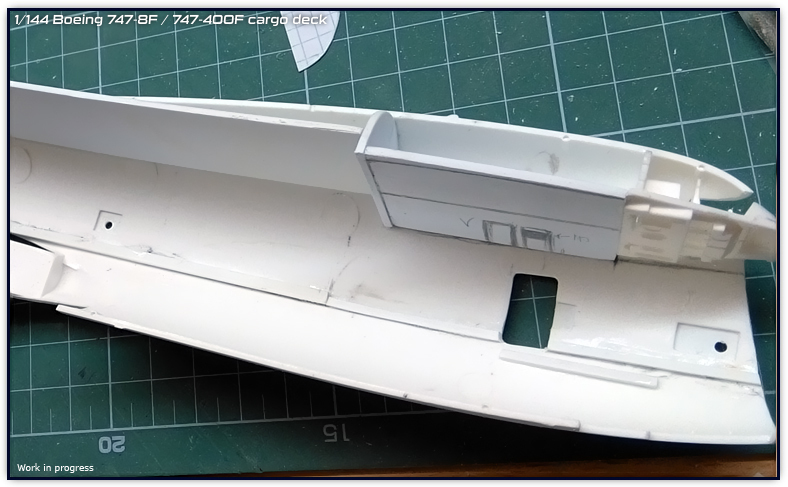 It all looks plain and dull and empty so far, but that is the required base for the detail. 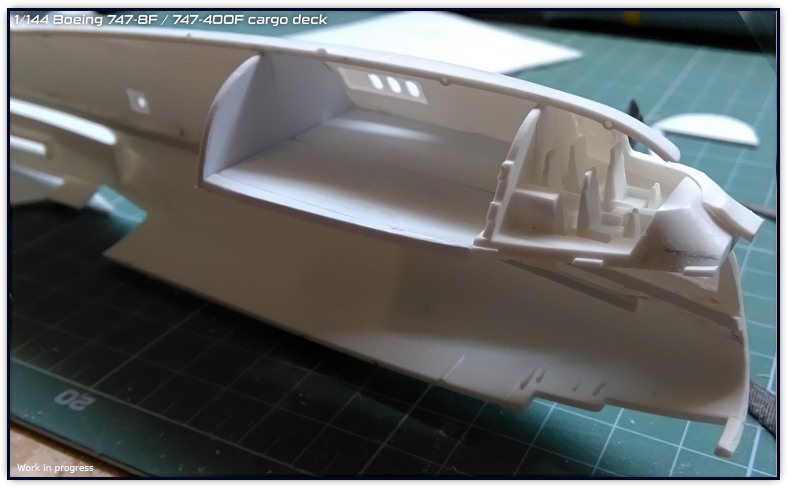 I expect to make a initial cast of the entire deck to make it as finished in order to see what the detail and color would be. 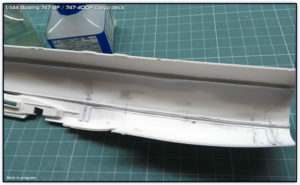 Notice on the “mouth” photo, the left sidewall (looking from the front) has the edge smoothened whereas the right side still has the plastic edge which will be covered with putty and sanded soon. Next step; continue with the ceiling. I want to take this chance with this post and say that I am currently working on the livery decals. They are not available as I am waiting for material and I am taking this time to do some improvements. 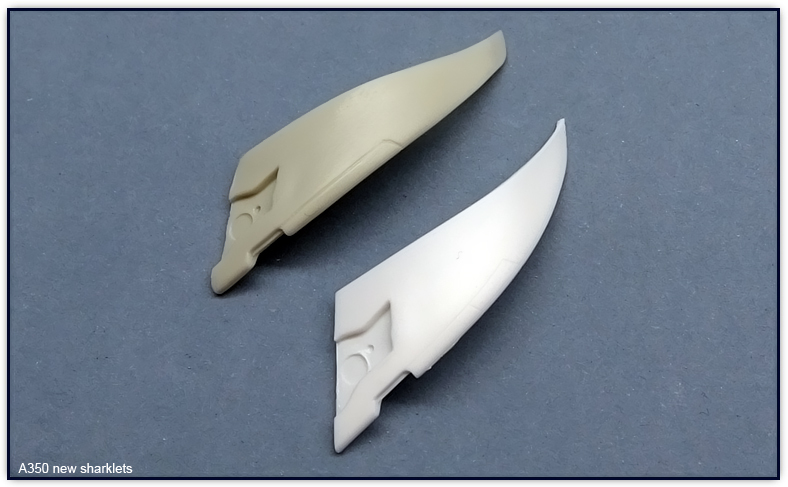 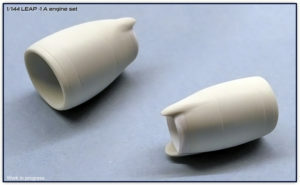 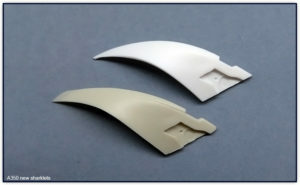 I am working into making the white more opaque for certain decals, thus there should be no need to put 3 or 4 layers of them, another area I am experimenting with is mixing color decals with white decals, this is a very big challenge for me right now and still can’t do many tests due lack of material (still on its way). 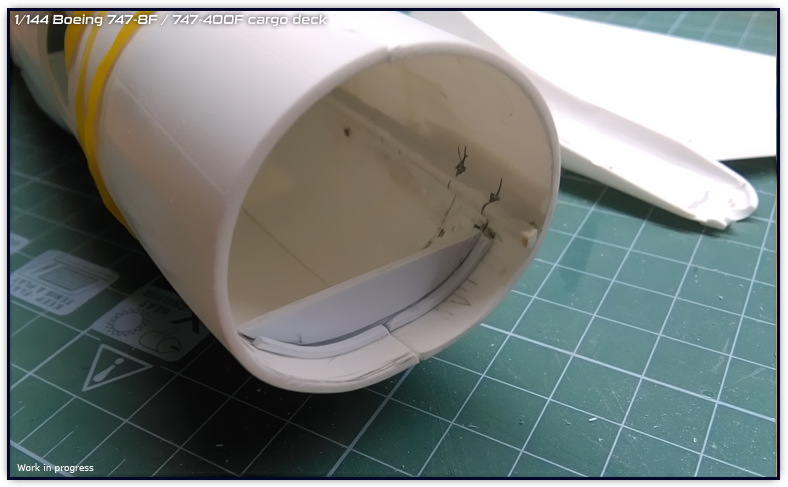 I will decide what to do once I experimented a little bit more with this because if I think I can present something better, then it is worth the time. 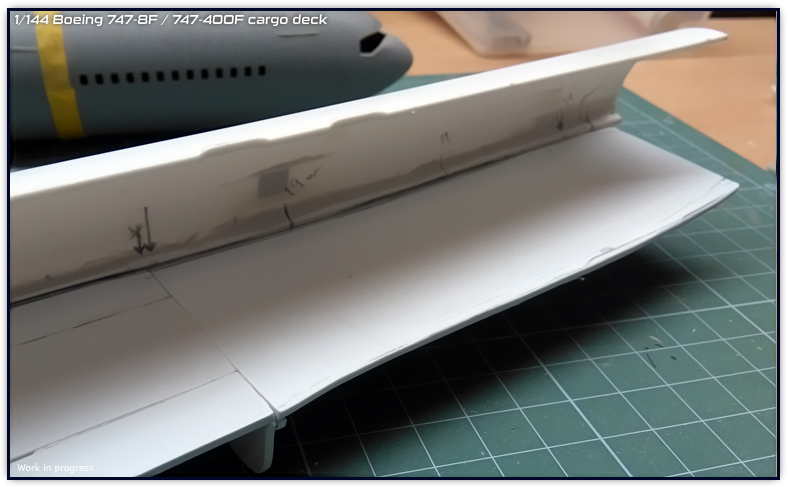 LEAP1-A progress, A350 new sharklets and continuing the B747-8F/-400F deck. 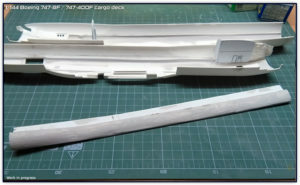 In a scale of 0 to 10 my current stress level is at 12, not feeling too happy neither, could it be the spring coming. 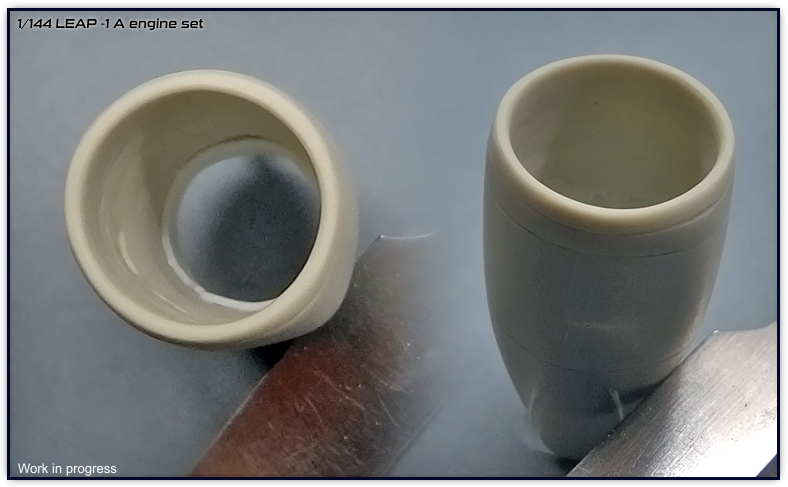 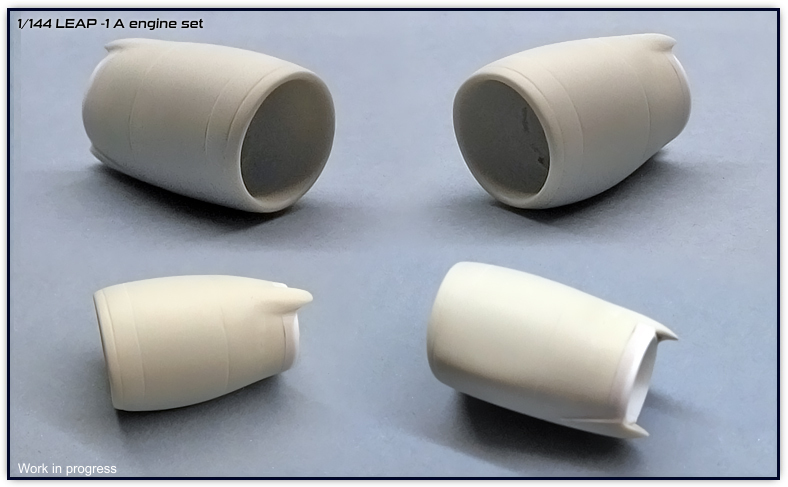 I must admit that I am struggling to keep items in stock, cast those tiny parts and then prepare/clean them takes time, it is not just take them out of the mold and put them in bags. However, I go step by step because it is the only way to not to drive oneself crazy. 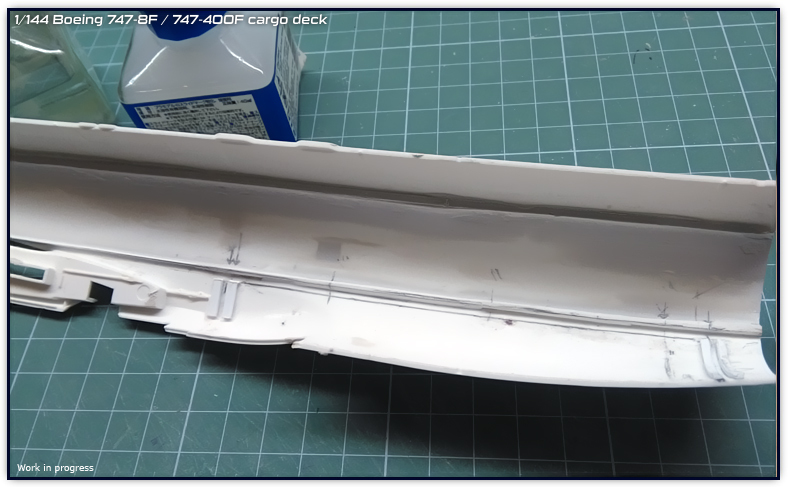 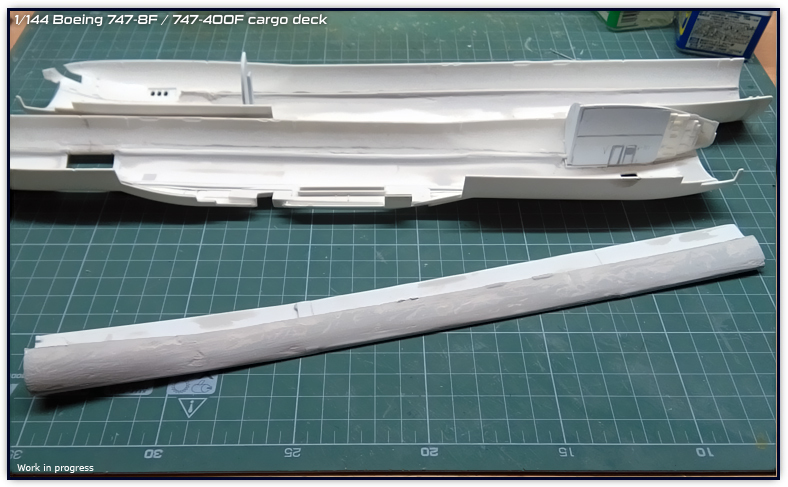 During the next week I expect to upload the 1/144 AST-1, A320 galleys/cargo holds, belt loaders, a couple GPU, A319, A320, A321 sharklets, WiFi antenna radome and hope to start casting more baggage carts and catering trucks. PW Neo engines are on hold once I finish the LEAP ones for a multiple mold casting since the current mold said “I give up”. As you may have noticed I am not good at keeping decals in stock neither. 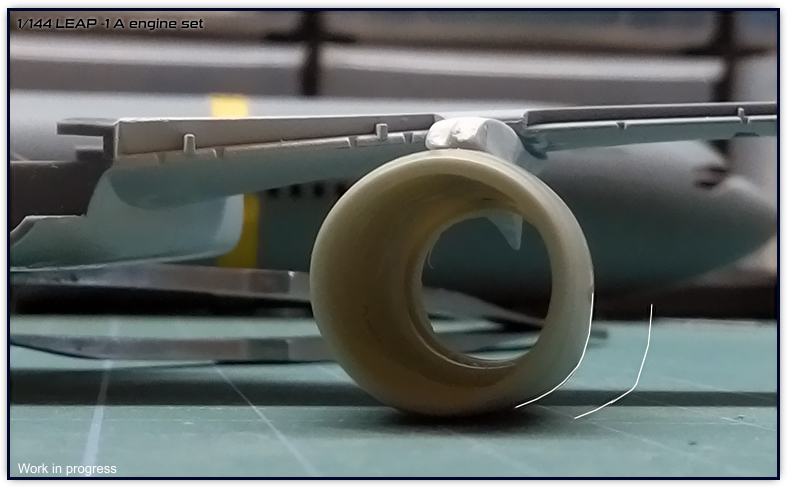 I am currently awaiting more material and also working on new liveries, A320Neo (PW) China Southern and would like to start a few Frontier A320Neo (LEAP) as I feel there is a progress on these engines currently and would like to work on LEAP liveries as well. 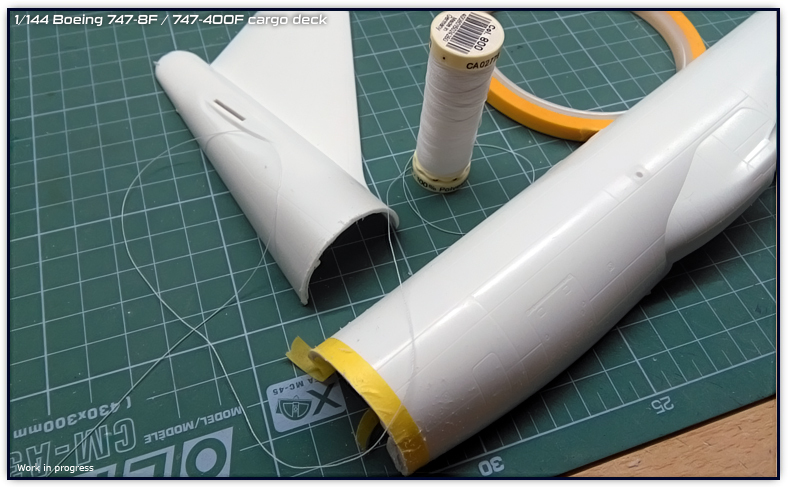 I wish that I could get material and have some margin to not to end up with 0 papers to print on, most of the decal sets takes almost two A4 size papers and I guess I am still learning about keeping enough material. 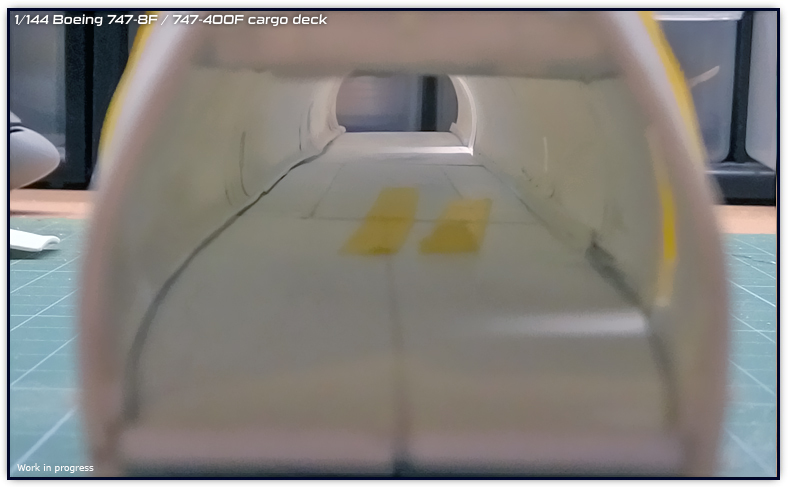 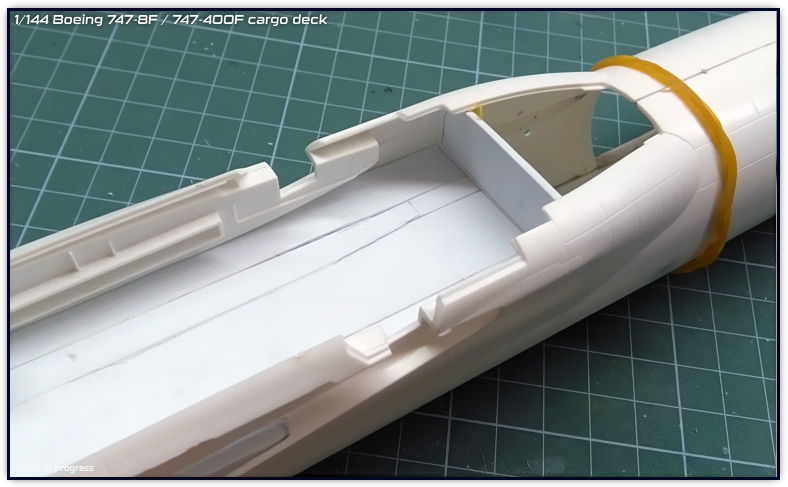 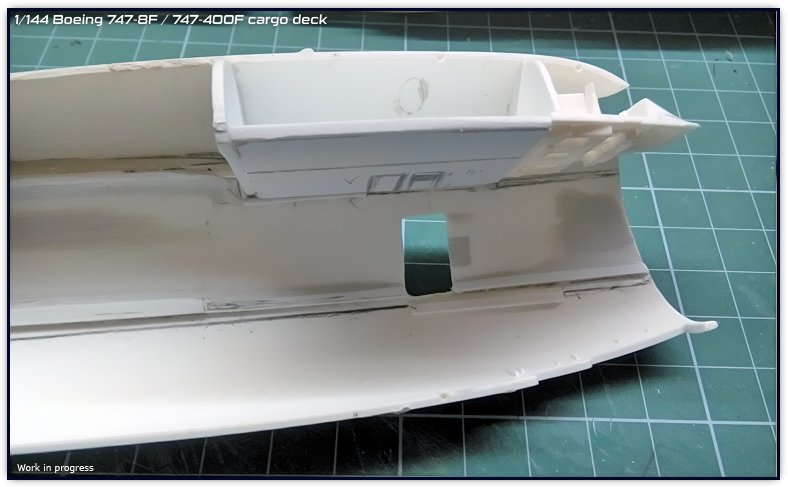 In any case and leaving aside how I am feeling lately, I would like to upload a few photos of the progress done so far on the LEAP engines, A350 new sharklets (this was started a long ago) and the tiny process on the cargo deck. This is second stage casting where I engraved the lines and reworked the end of the engine cowling. 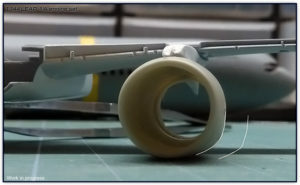 Do not think too much about the upper flap on the engine cowling, I will probably take that away when placing the pylons and re work it again on top of both areas. 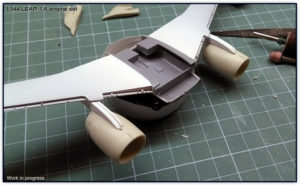 I will also fix a few things around the final section of the cowling, fix the shape a little bit. 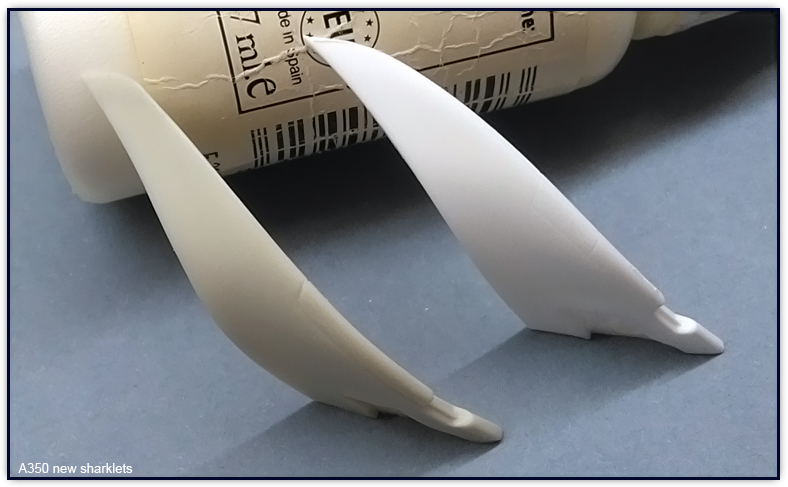 So next step will be to cast the second master part and add the left and right pylons. As for the A350 new sharklets, I am currently polishing them and fine tuning a few things, my goal is to have decals available for them so customer can chose which airline goes with these resin sharklets (or none). 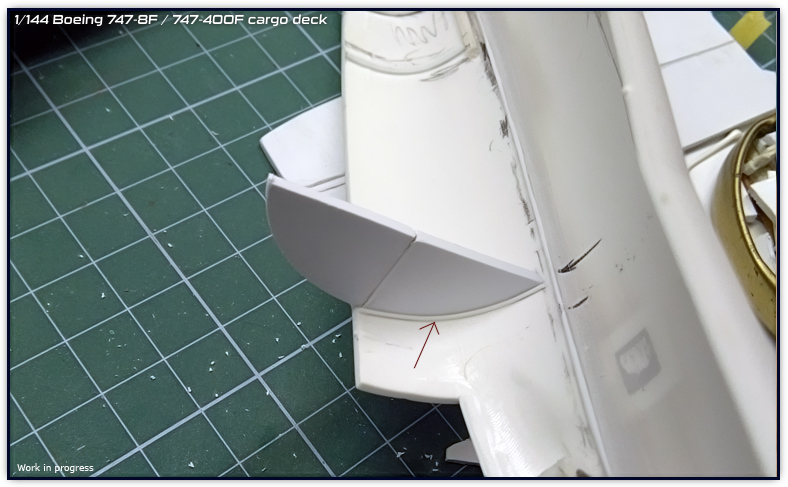 The final portion of the deck is being fitted, fits well on the right side, but a lot of work to do on the left side. 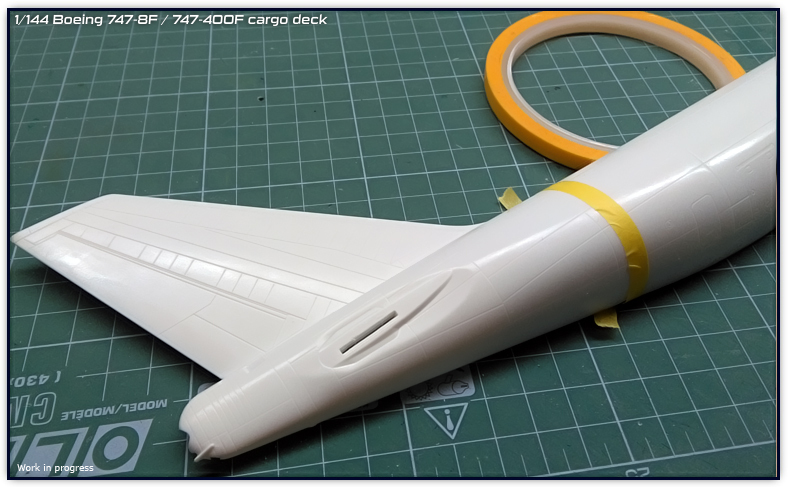 I would like to dedicate a whole weekend to work on this because I want to keep things moving. 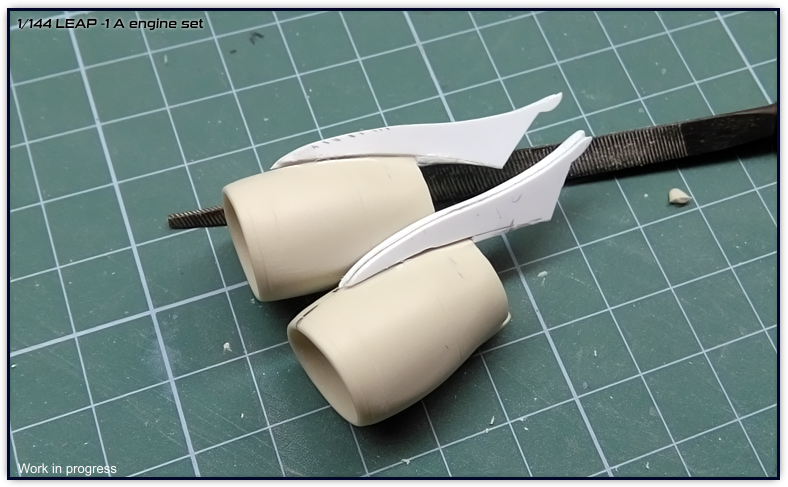 I wish I could feel more motivated, I guess there are too many things I am doing and I don’t have spirit for all of them to work on simultaneously, this and other things are putting me down for a while, will try to keep things in order to work better and be more optimistic. 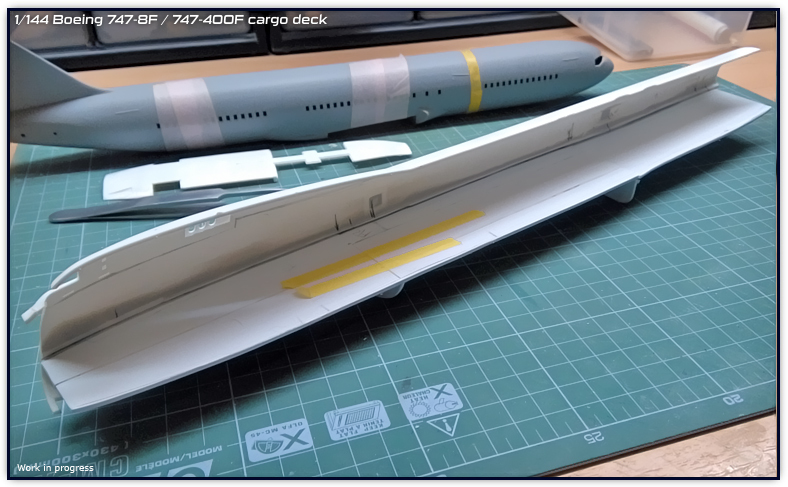 I would like to upload some of the progress that I was able to do with the 747F deck project on last weekend. 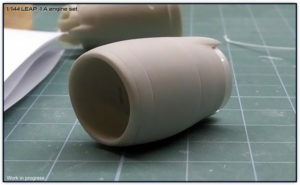 This week is a little crazy since it is holiday today and it will be extended till Monday. 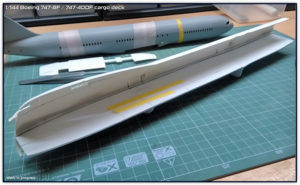 However, there is not much time to lose so even I reduced to 3rd gear for being national holiday, I still keep on preparing units and working on the 747F project. 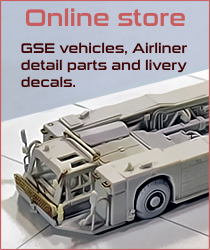 Currently making more baggage carts, belt loaders, AST-1 and catering truck. I am also planning the Leap 1A engine for the Neo family, project that I set date to be ready on February at the latest. 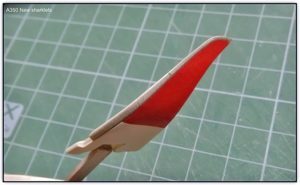 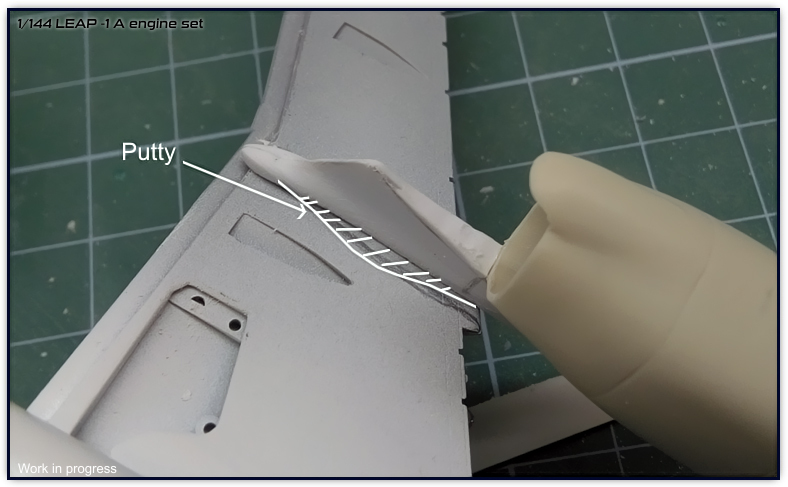 I will be using the PW as a base instead of having to do a full scratch built like I did with the PW, and although both engines are quite different when looking carefully, it is better to start with some shape (specially pylon-wing union) than starting from zero. 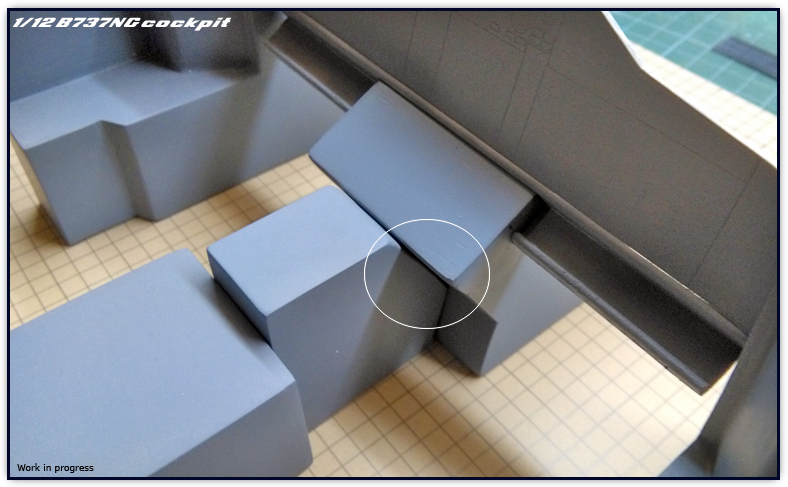 I have made the floor of the crew rest area which is also the ceiling for the cargo compartment, this was needed as it is also a basic structure for the interior. Not planning on detailing the crew rest area since it won’t be seen from the outside. 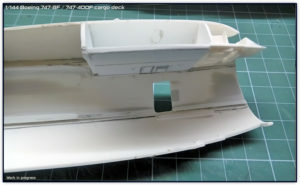 I may leave the holes for the windows for those who prefer using the clear plastic, but for my build I will have them covered and a decal will represent them. 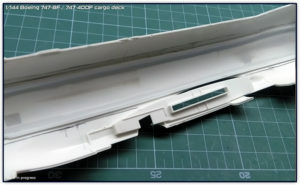 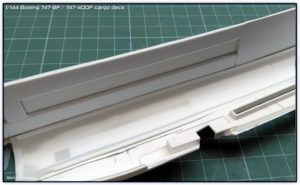 Revell made a mistake on the upper deck windows, since the 8F is still using the traditional -400 windows for that area instead of those from the 8i but made it right on the L1 door window which also preserves the “old” window style. 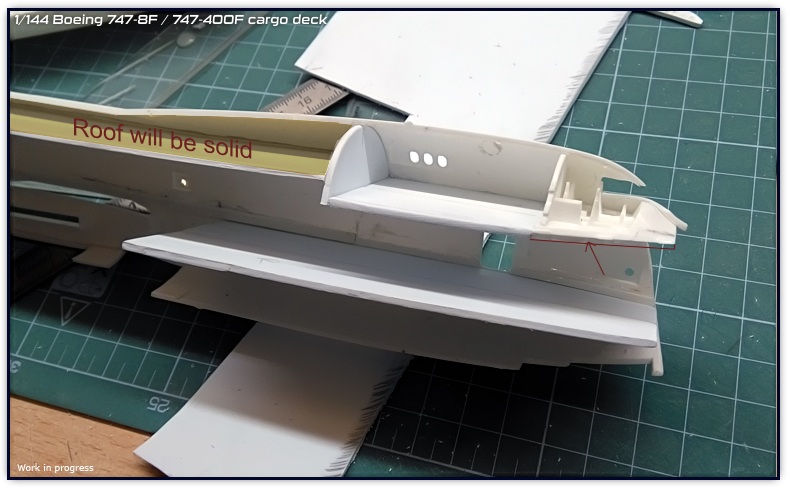 After having made the crew rest area, I attached what will be the ceiling (still not all of it is placed), since the ceiling shape change at about section STA1500 towards the end of the fuselage. 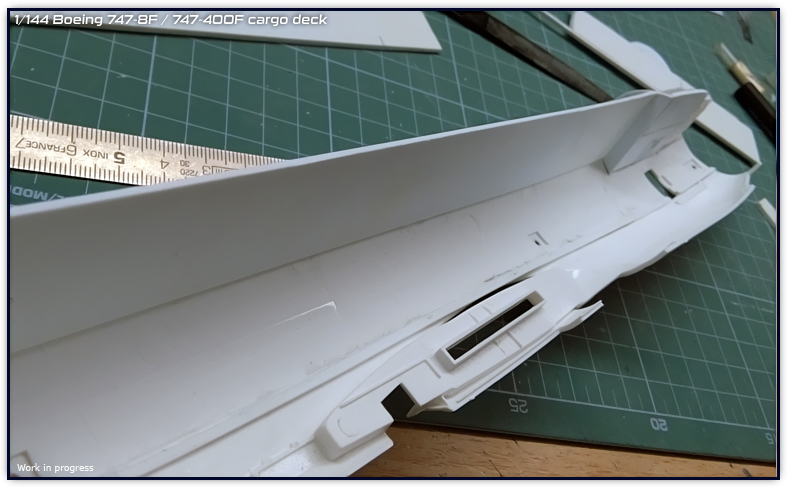 By adding the ceiling first, I can now see what sizes the side walls are going to be and add the detail on that particular area. 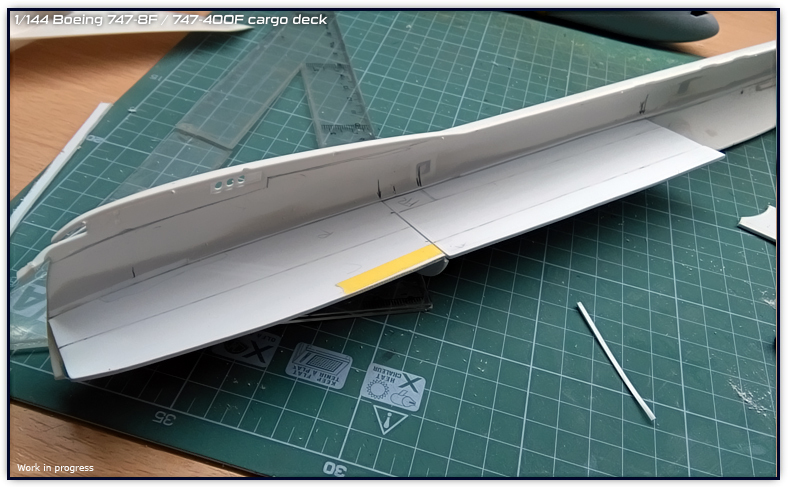 The upper side of the ceiling (the one that isn’t seen) will be solid and have the same shape as the fuselage so that it can be easier to place on the concave shape of the fuselage. 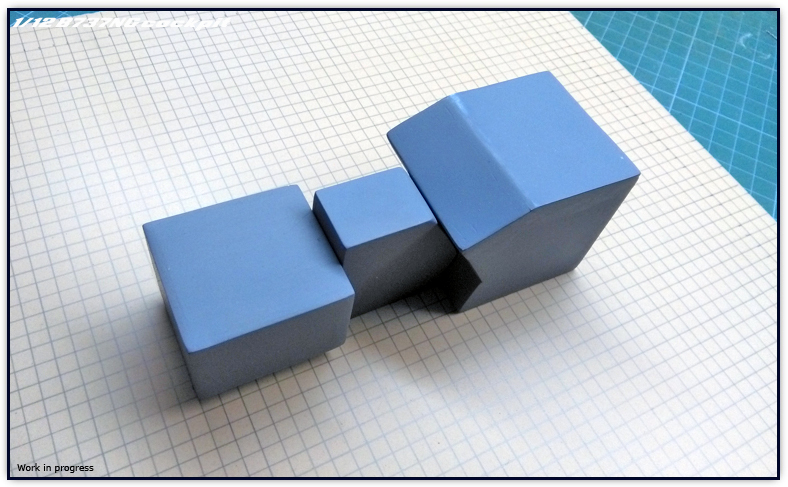 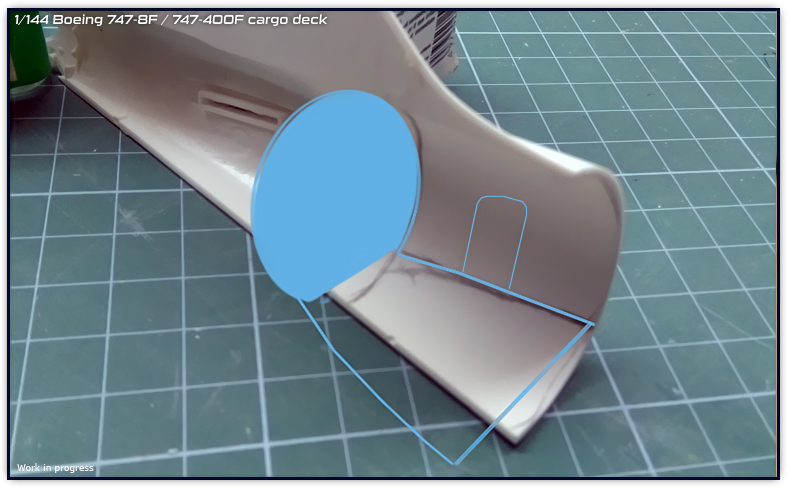 There isn’t too much space on that area so it won’t be a problem on regards material quantity. 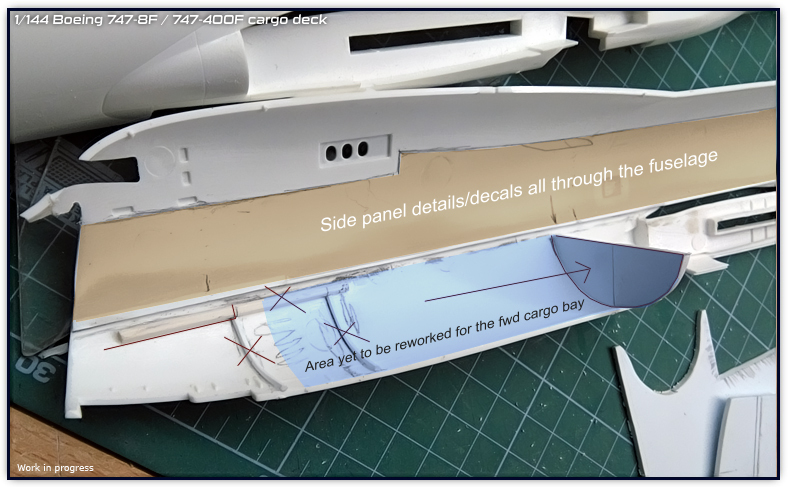 This cargo set will also include the cockpit because there is a lot going on on that area. 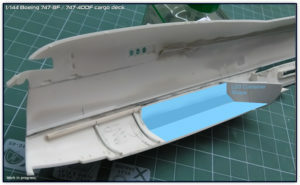 As you can see from the picture above, the entire base of the cockpit will be putty-filled so that the ceiling is flat on both the cockpit and crew rest area. Cockpit base will also include all that detail on the edge that is actually seen from the outside. 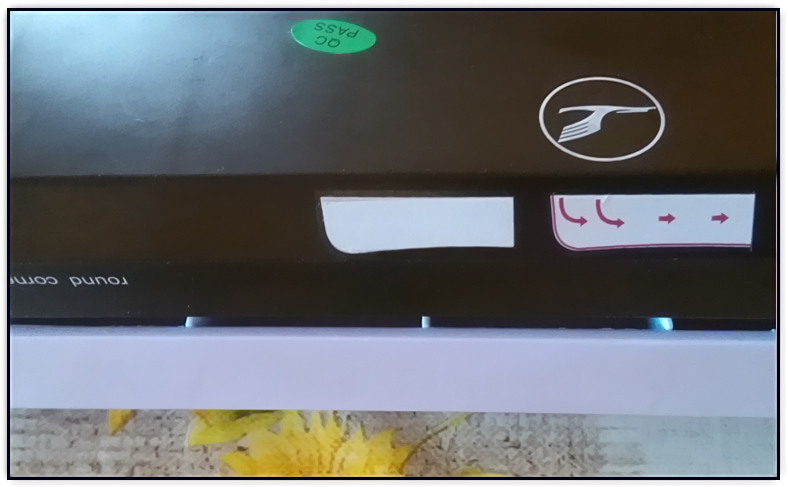 I also marked where the ladder will go, actually corrected instead of standing at the front of L1 door as I mistakenly marked firstly. I am also not forgetting the cargo bays, I think that it would be a good idea since I have this model open in such a way, to include also both cargo bays. 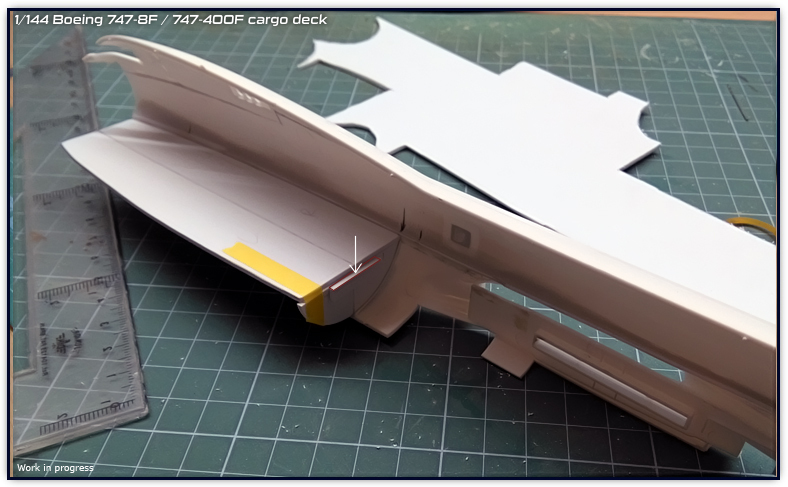 This will also help me to represent the new cargo loader which will feature these different sill height positions, so my idea is a diorama with four cargo loaders fully loading this freighter, nose door, side cargo door and both cargo bays. 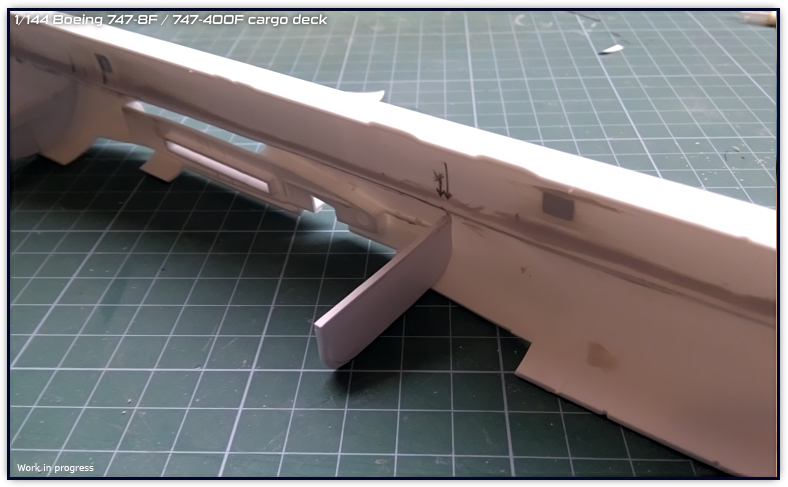 I am advancing a little slowly because these modifications require planning and sometimes things do not always come out right at first. Hope you like this project so far! 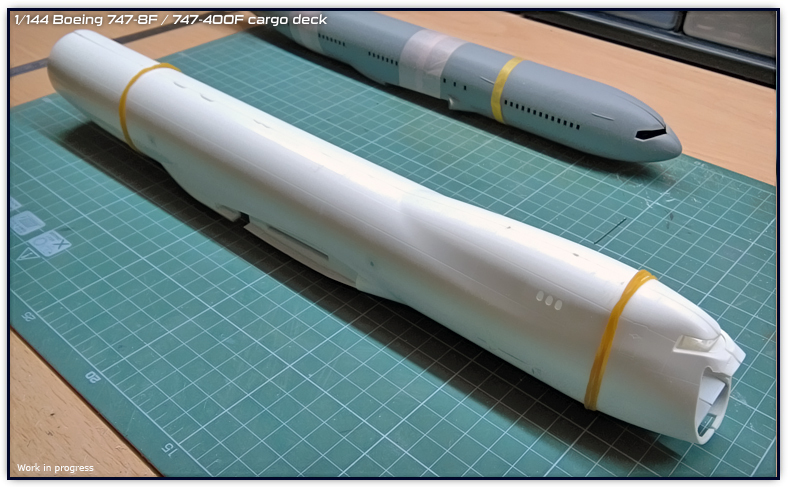 I am really looking forward to it because it will also give me the chance to create new GSE specifically for loading such giant birds.